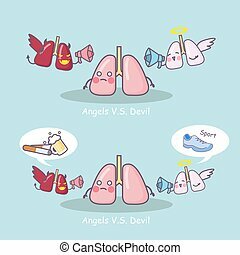 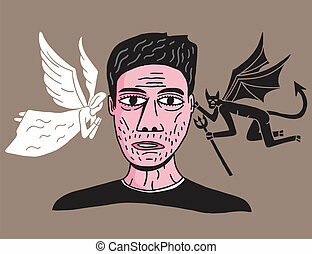 Between angels and demons. 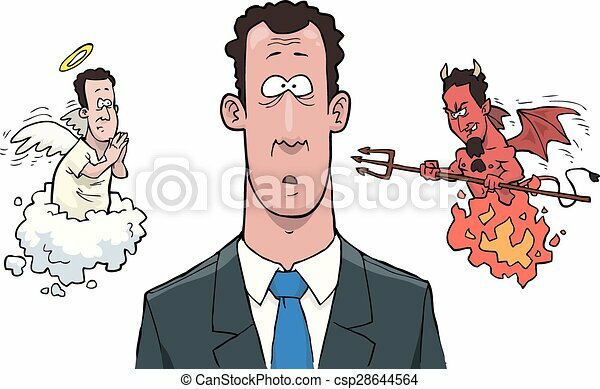 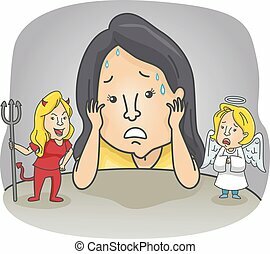 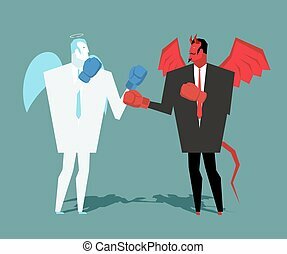 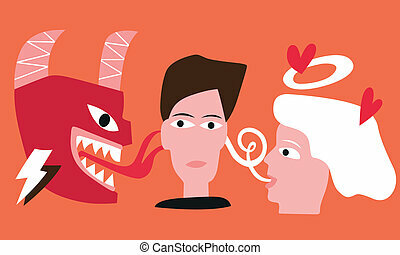 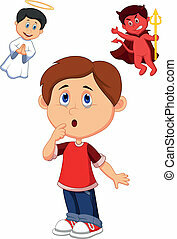 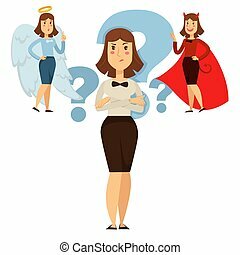 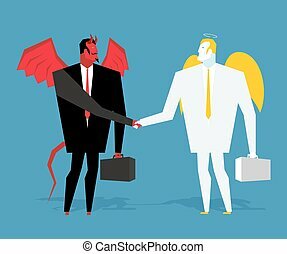 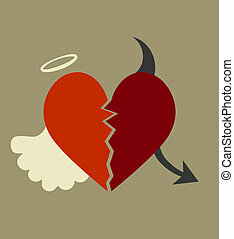 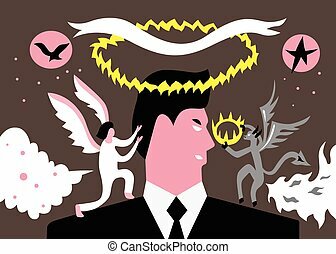 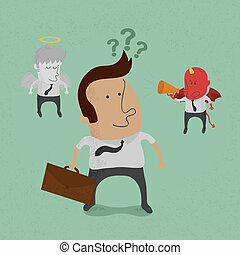 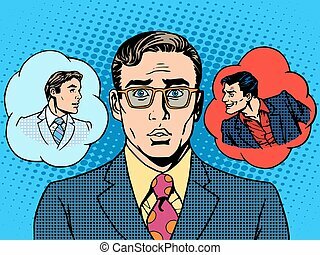 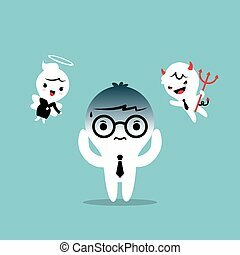 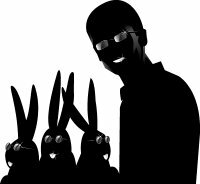 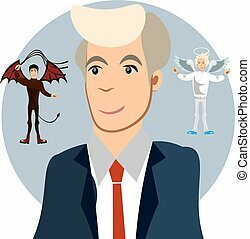 A man between the angels and demons vector illustration. 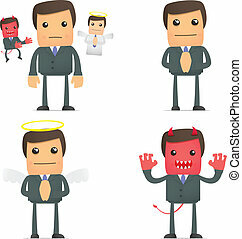 set of funny cartoon businessman in various poses for use in presentations, etc.